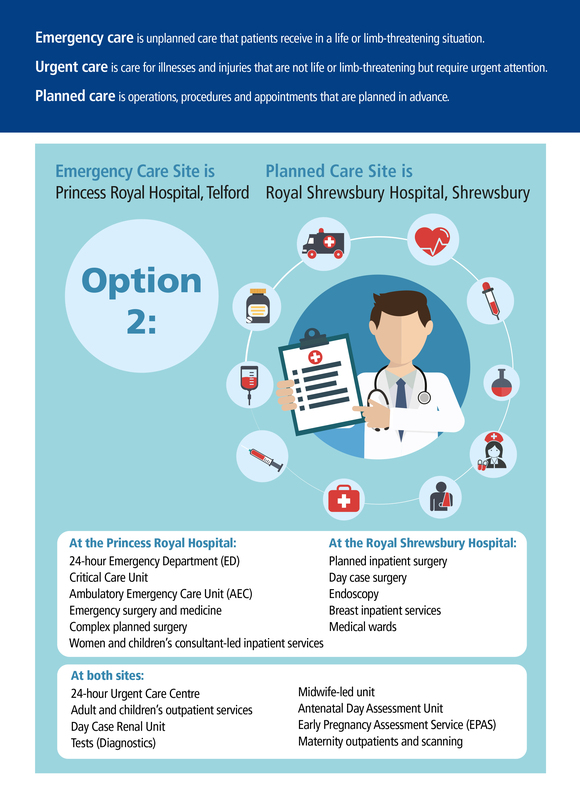 Members of the Joint Committee of Shropshire and Telford & Wrekin CCGs on 29 January 2019 took a unanimous vote which will see Royal Shrewsbury Hospital become an Emergency Care site and Princess Royal Hospital a Planned Care site. Both hospitals will have a 24 hour urgent care centre. This landmark decision will result in better care for patients, secure the £312m on offer from HM Treasury and develop both hospital sites to deliver state of the art facilities in which staff will be proud to work and patients will choose to be treated. You can read more here. 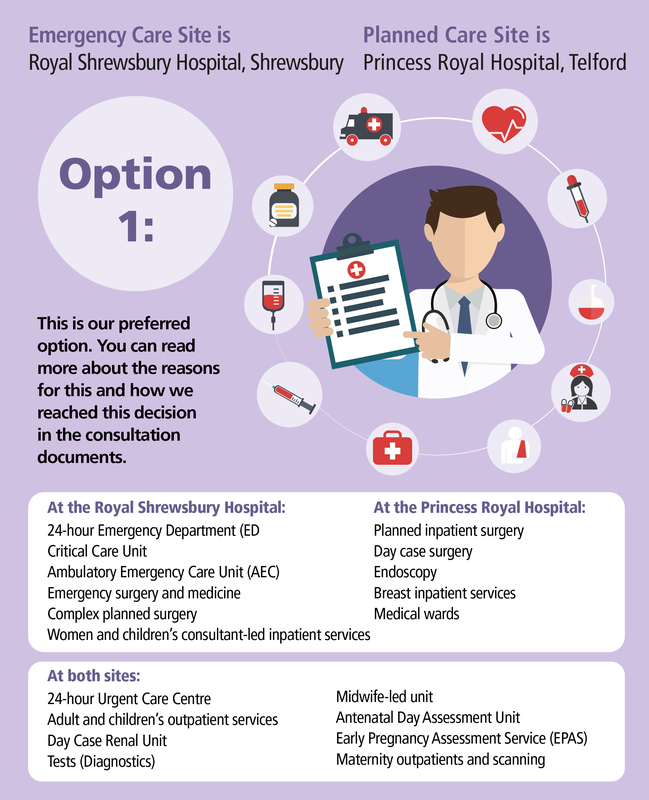 Emergency Care Site is Princess Royal Hospital and Planned Care Site is Royal Shrewsbury. 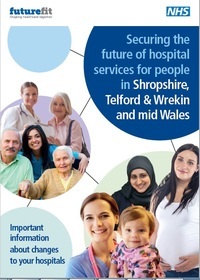 For a brief overview of NHS Future Fit is and how we're aiming to meet the health needs of the population please watch this short video. A public consultation on the Future Fit proposals ran from 30 May to 11 September 2018. Find out more about the next steps. We know you'll have lots of questions about NHS Future Fit, so we have collated a list of frequently asked questions and their answers on our FAQs page. The consultation documents on this website are available in Welsh, in an Easy Read format, as Word documents for use with screen readers and as a large print Word document. You can find these in our Key Documents section.